A deluxe suite including combo amp racks making the utmost of Live’s built-in Amp and Cabinet devices, “Stomper” effects designed like guitar pedals and guitar Chord presets. Combamps a whole bunch (30) of combo amps which are crafted to optimize Ableton Live’s built-in Amp & Cabinet devices to their utmost. These racks make it much easier to dial in your sound (combination of preamp drive, tone, envelope settings, biasing, and gain structure) without having to constantly adjust the output level to match as well. They also optimize your timbre selection options by providing many “dual” and even three “triple” racks, which combine and balance the tone of multiple amps. In testing, these multi-combamps have been much-appreciated for an expanded range of unique amp flavors, as you now basically have 30 unique amp models, instead of 6. All combamps have been gain-staged at multiple points in the signal chain using both Peak and LU matching with both “Strat”and “Les Paul” styles, as well as bass electric guitars. The dual & triple combamps are gainstaged with a system resulting in relatively balanced levels at all gain settings when using wide panning (so that one amp is not way louder on one side than the other one). Since every guitar has its own tone & envelope character, these values are guaranteed to be imperfect, but it should result in you only needing to make miniscule volume adjustments to fine-tune your ultimate sound. Post Amp Compressor a simple compressor with settings calibrated ideally for taming an amp output’s transients. Guitar Chords 35 presets for Chord based on actual human guitar fingerings. A robust collection of groove files which implement rhythmic “chop” effects in quarter, eighth, and sixteenth-note patterns. Chopper Grooves 302 of them! Drop a Chopper Groove onto an audio OR a MIDI part, make sure your global groove amount is up, and hear it do its thing. Drop different Chopper Grooves onto different tracks… then when you turn global groove amount up… they all start chopping in their own way. Audio effect and MIDI racks designed for enhancing and manipulating harmonics by various methods. Harmonic Colorizer enhance harmonics using various different methods. By using different amounts of each knob, you can set up your own unique boost texture to help a part stand out against its various song elements, or use it to subliminally add a particular color to a submix or mix. Overtone EQ (3 versions) EQ racks set up to select a target frequency, and then manipulate the harmonics based on that frequency. The Even & Odd version allows separate control of even & odd harmonics. The Even vs Odd will boost Even or Odd and attenuate the other (useful for hearing the difference between those types of harmonics). The Sculptor version is useful for manipulating each harmonic interval individually. Undertone EQ (3 versions) just like the Overtone EQs, but these manipulate lower harmonics instead (not as common of an operation). They include the same 3 versions. Harmonic Chord Presets these will add in MIDI notes based on harmonic intervals. Simple, but useful. Includes 2nd through 4th harmonics which each add only 1 note and also Coarse, Perfect, and Undertone versions which each add multiple harmonics. Harmonics Extender (3 versions) MIDI racks which can be used to set (& automate) the amount of added harmonics. Includes Coarse, Perfect, and Undertone versions. Utility presets allowing to divide or multiply level according to Sound Pressure Level, Acoustic Intensity Energy, and Perceived Loudness Sensation. –use SIL (energy) for acoustic energy calculations. Like, let’s say you’ve got a really small sound, like a pin drop. Multiply it by 100 SIL to estimate the level provided by 100 pins dropping at the same time. –use Volume (loudness) for the human perception of level. So, to make something seem twice as loud, subjectively, multiply it by 2 Volume. An assortment of midi racks, primarily for composers, which filter incoming notes according to standard instrument & vocal ranges, plus tools for making custom note ranges. Simply set a note range before a MIDI instrument to allow it to only play notes within that range. This is a sampler instrument which is designed to play a loop of background vinyl noise which you can select from 128 unique samples, each with their own character. Some of the samples are primarily background hiss, but some also have pops, clicks, and other artifacts which can be useful as percussion elements. Big thanks to the one and only AfroDJMac for hosting this device. PS…. if you are not already a member of the ADM Music Production Club, then you are missing out on a crazy-affordable source of insanely cool, high-quality, monthly awesome stuff delivered to your face. If you are interested in steadily building up your ableton library full of production and performance assets to be able to more quickly dive in to making your own bizarre unique sounds and developing your own twisted techniques, this is one of the most practical possible methods you can consider, especially if you’re a fan of the more odd and innovative side of things (which, if you’re reading this here now, i’m guessing you probably are). I recently helped tweak and finalize a set of free audio effect racks in collaboration with online mastering service LANDR. These are three effect racks suited for quick and easy “tone sculpting” of parts which are centered on low, mid, or high frequency ranges. If you’ve never used LANDR, i highly recommend it as a way to test your mixes. Finish a mix and send it off to LANDR… listen to the master they send back to you, hear problems more clearly, and then go back to your mix and fix. It’s also a great way to get a new track ready for live performance before it has been sent off for professional mastering or officially released. Also, check out the new ARCHIPEL ELEMENTS live pack, with drum racks featuring juicy recorded samples ranging in the 4 elements – earth, water, air and fire. Great material for sound design and experimental composition. P.S. Bonus shoutout to AFRODJMAC for being super groovy. You should totally join the afrodjmac music production club, because i said so. And because it is very affordable, and awesome. A reverb effect rack sending different calibrated reverb algorithms to the lows, mids, and highs. The lengths, widths, and shapes of each reverb chain are scaled compared to each other leading to very complex, smooth and lush sound which can be used from very short ambience “small box” reverbs to extremely long-tailed hall reverbs, and everything in between. The tone can be altered carefully with just a few macro controls to sculpt the sound with great versatility and ease. Add in Low, Mid, or High reverberation, change the room size and tightness, and alter the tone with the cutoff and diffusion knobs. Each chain of the reverb is suited for the frequencies of material sent through it. The “Low” chain additionally saturates its output. Tip: Try using it on a kick drum or drum buss with a higher “Tightness” setting and turn up “Low Reverb” then play with the room size to add a natural boom to kick drums. Click the image above or these words to grab “Multiband Reverb” for free! ps check https://performodule.wordpress.com/2013/05/24/how-to-organize-user-plugin-presets-like-a-boss-in-ableton-9-using-the-hidden-architecture/ for how to save this in your Live 9 library so that it shows up in the “Places” section of the browser. Super nifty. 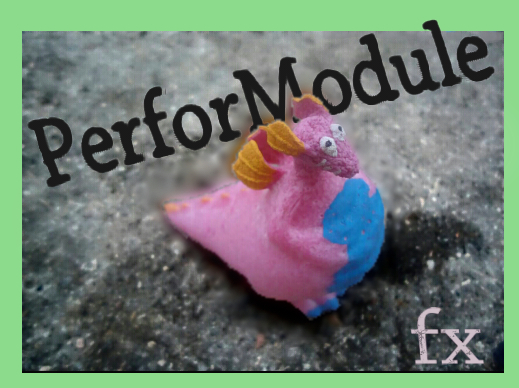 [update] HUGE thanks to ABLETON for featuring PerforModule’s “MultiBand Reverb” for “Free Stuff Friday”!!! Francis Preve ( http://www.francispreve.com/ ) posted something which inspired me to make Glue Compressor- and Saturator- based limiter device presets using their clipper functions. I went ahead and made them as one-knob fx as there weren’t too many parameters to deal with. I also decided to make a device similar to the performodule “hybrid” compressors which can be used to compare between the 3 limiter possibilities (calibrated with matching settings) in one device rack, which is a real time-saver. That one also has control over fine-tuning parameters for fully robust usage. How to use: place one of these devices as the final device on a master track for a final master. Turn up the “push” knob to the desired setting (maximum is +9db). Try to boost it while avoiding any unpleasant distortion. The final output will not exceed 0db. I would describe the GluLimiter as rich, the SatuLimiter as meaty, and Ableton’s Limiter as straightforward. For the Try Limiter: Set the push knob as above. Try the 3 limiter choices and decide which one fits the piece most appropriately. Try different settings for attack and release (including auto-release if desired), and you can set the final output from -.5 to -.2 db. One workflow method is to turn push all the way up so the effect is extreme, set attack and release where they feel the most natural and dynamic, and then turn push back down to the ideal value. Then choose the limiter type that has the favorite character at those settings.